Alvin 35 mm photograph taken in 1992 of the Mussel Bed area. 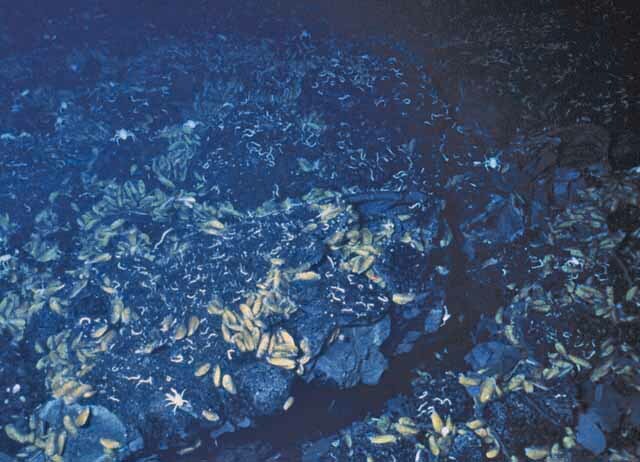 Photograph showing extensive mussel community and serpulid worms (small white curvy features on the basalt surface). Distance across bottom of photo is ~2 m.